Note: This app has been recommended by one of our users. Play the fun “No Thanks” game with your friends. Your TV is the board, your phone, it’s your cards and coins. If you don’t know the game, you can read the rules on your TV. 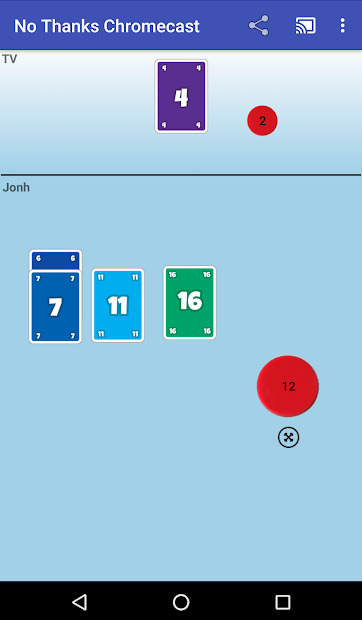 But for you to have an idea, the mechanics are as follows: in each round there will be a visible card in the center of the table with a value between 3 and 35. 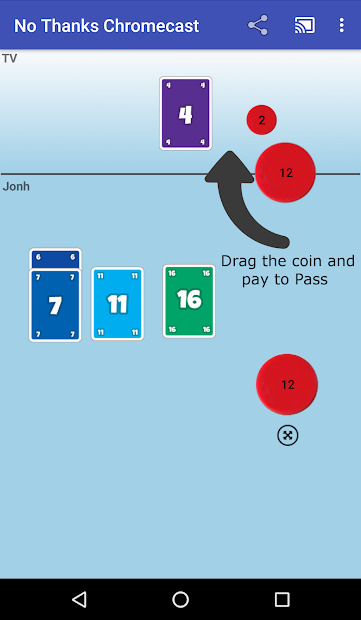 If the player who its his turn wants that card, he puts it in front of him and that card will be worth as many points to the player, at the end of the game, as its value. If you do not want it, you should put a chip on it and say “No thanks!” (Although, you can use other expressions, but empathize that you don’t want it) and so the card passes to the next player, who must make the same choice and so on. If you don’t have chips on your hand, you have to keep the card, but you get all the chips on the card for the next turns. The idea is to have the fewest points at the end of the game. 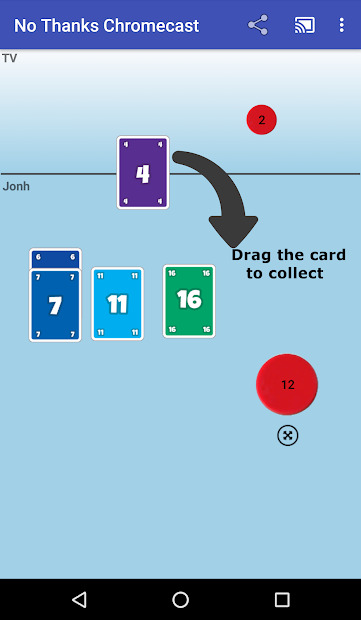 Once the deck of cards has been distributed among the players, the game is over and each player adds the points of their cards, subtracting the number of chips they have left (more chips at the end, better score). It looks simple, but needs some strategy and it’s really fun. In 4 or 5 games, you will get the rules and the mechanics. Note: You need a Chromecast to play this game. From 2 to 6 people can play this game simultaneously.